I’m getting on a plane today, flying home from East Coast to West — so what did I read yesterday? 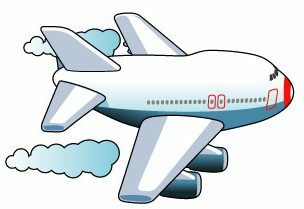 Why, just three different short stories about air travel. And why did I choose to do that on the day before a flight? No idea, really… because they were there? In any case, they didn’t all freak me out. They’re not all scary, but still — an odd choice, given the timing. 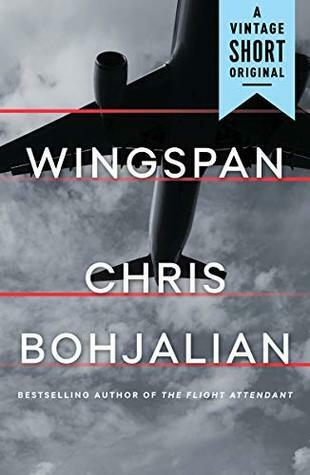 Wingspan by Chris Bohjalian: This is a one-act play by an author who’s always terrific. The action centers on two flight attendants, one young and inexperienced, one closer to middle age and with enough years of flying and life to be both practical and somewhat jaded. As they prepare for takeoff, the younger woman’s fear of flying is obvious, and as they talk, she begins to reveal her long-held secrets that led her to this point. The dialogue is sharp and clever, showing the slow development of trust and support between the two characters. Wingspan is not frightening from a flying perspective, but it is disturbing in terms of what is revealed and what the younger woman has experienced. This is a great short read (32 pages), available as an e-book standlone. Definitely recommended. A creepy tale that’s not too implausible. Airlines charge for legroom, carry-on bags, food, earlier boarding, the privilege of choosing seats… what’s next? Carry On takes that question to an answer that’s not all that far-fetched. Instead of making larger people buy two seats while having skinnier folks get to sit in comfort by virtue of their smaller size, why not charge by total weight? You buy a ticket based on the combined weight of you and your carry-ons — and you’d better hope you pass the pre-flight weigh-in! Wow, this is one creepy story! It’s not terrifying from the flying perspective — nothing bad happens to the engines or the rest of the plane. But what happens when you’re in the air on a routine flight and learn that the rest of the world has maybe just been wiped out? This story is horrifying and disturbing in all the best ways. So, really, nothing to put me off flying too badly, and all great reads! 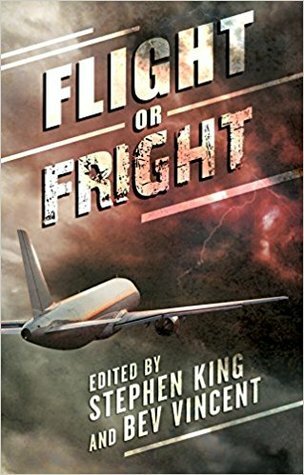 All the ways your trip into the friendly skies can turn into a nightmare, including some we’ll bet you’ve never thought of before… but now you will the next time you walk down the jetway and place your fate in the hands of a total stranger. I actually wouldn’t mind reading this — but not today, thanks! Haha! That’s great timing. Two years ago, I was flying home from Florida and I started to read Seneca Scourge by Carrie Rubin, all about a pandemic that starts on an airplane. And everyone was coughing and sneezing during my flight! Eek!